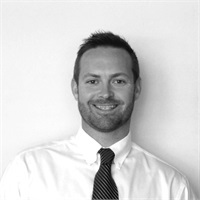 Brandon Wilson | Consolidated Planning, Inc.
Brandon R. Wilson is a Financial Advisor with Consolidated Planning, Inc. Over the last 11 years, he has focused his practice on helping small business owners in an array of industries. Brandon helps optimize their finances in order to achieve financial balance. This is accomplished by following a philosophy that eliminates the guesswork, challenges financial myth, and minimizes risk as the only option for reward. Conventional financial wisdom has failed. It’s time to stop thinking there are one-size-fits-all answers; and instead, prioritize and focus on tailored solutions that make the most of what you have. Consolidated Planning is a premier financial planning firm Headquartered in the South Park area of Charlotte. As a financial advisor in the Charleston offices, Brandon helps his clients gain clarity and purpose for their financial lives. Brandon earned his Bachelor of Science from Presbyterian College in 2006. After graduating and being a four-year football letterman from PC, Brandon married his college sweetheart, Ansley. They currently live in Summerville, SC with their four-year-old son, Stewart. When Brandon is not actively helping his clients achieve their financial goals, he enjoys spending time with his family, playing golf, fishing, and coaching youth football.